It has been twenty five years since the 1979 Revolution in Iran, the collapse of the Pahlavi monarchy, and the establishment of the Islamic Republic. It has been a quarter of a century that many Iranians have left Iran to escape political and religious persecution, to flee the consequences of the eight year war between Iran and Iraq, and to find a home in another land. During these years the political and cultural situation in Iran has changed in new and complex directions. The conflict between the conservative and the liberal factions of the Islamic Republic government has created a rift in state authority and produced hope and anxiety in regards to potential change in Iran. 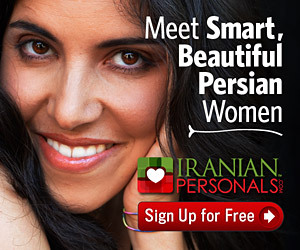 In the meantime, Iranians in diaspora have created communities all over the world. These communities exhibit different degrees of assimilation into the host-culture at the same time as they uphold a heritage identity whose referent is the homeland. The latter is expressed in publishing Persian and bi-lingual periodicals and broadcasting radio and television programs. The developments of the past quarter of a century, both in Iran and among the Iranian diaspora communities, have produced new prospects in evaluating the question of home and exile for these communities. The majority of Iranians in diaspora now face questions that are quite distinct from those of the 1980s. Twenty five years is a long time, but not long enough to efface from memory the plight of those exiles who fled Iran without a clear prospect of what they were to face in another land and how they were to deal with memories and anxieties that accompanied them in exile. The present study will revisit such questions through an evaluation of exilic memory in Nasim Khaksar&apos;s one act play, Akharin Namih (The Last Letter). This study will demonstrate that memory in the life of the play&apos;s exile is not so much a nostalgic preoccupation with the homeland but amnesia about the past that induces anxiety and articulates loss in his life. Khaksar&apos;s Akharin Namih was written in the late eighties. In this play, the trials and tribulations of exile are perceived from the perspective of a middle aged political refugee who had left Iran shortly after the establishment of the Islamic Republic. Since then, he has been residing in a provincial town somewhere in Europe. The protagonist had escaped Iran because his former political activities as an intellectual and a sympathizer of the left had placed him on the wanted list of the new regime. In Iran, he had belonged to a political group that was identified; some of its members, including his female partner, were arrested and served prison terms. The protagonist&apos;s biography is similar to the background of the playwright. Khaksar, also, was involved with the left and had served two prison terms during the Pahlavi regime and one after the Islamic Republic had come to power. In 1983, he escaped Iran illegally and after a short stay in Turkey, traveled to the Netherlands on a forged passport. Ever since, he has been living in a small town in the Netherlands. Khaksar wrote Akharin Namih in 1988. The play&apos;s protagonist, called the Man, similar to Khaksar and many others, is a victim of the Cultural Revolution campaign, in the post-revolution Iran, that was aimed at crushing the opposition, the intellectuals, and other forces who could pose a threat to the regime. The Man is not an immigrant; he is a political exile. His exilic existence is the very proof of his exclusion from the dominant political discourse in his homeland. At the same time, he is recognized as an outcast in his unwanted new home. He suffers double exile or double marginality: accepted neither at home nor in exile, he is a man without a country. The main characters who appear on the stage of his unfolding drama/trauma are the Man in exile and his female partner in Iran; she is referred to as the Woman. Khaksar&apos;s choice of the generic names, Man/Woman, in identifying these characters, is a comment on the anonymous identity of the exile (at home and away from it) as the lost, and the forgotten. The play&apos;s protagonists could be any exile in a similar situation. Moreover, the anonymity of these names introduces the Man and the Woman as any man and any woman who are trying to define themselves and their relationship. The dynamics of the relationship between the Man and the Woman as a couple, is the subject of a separate study. He picks up a letter from the desk. He opens it. He bends and looks at the framed picture of Woman that is next to a small flowerpot. The wind howls loudly. The window bangs open. The white lace curtain billows. Man starts towards the window. He switches on the light. As the lights come up, Woman is seen standing next to the bed, in front of the mirror. She is about thirty-five. Man closes the window. When he turns, he sees Woman in the room. In disbelief, he looks at Woman, whose back is to him; then he looks at the letter in his hand. He puts the letter in his pocket. He looks at the picture. Quietly he moves towards Woman. Before he has taken two steps, Woman–still standing with her back to him–speaks to him. The Man fancies the encounter with the Woman, whispers their potential dialogue to himself and at the same time listens to it. The Man creates an image of the Woman on the basis of their correspondence as well as their memories together. In the same vein, the altercations between them occur in his mind. The letters, similar to the framed picture of the Woman on his desk, are fetishized texts in the life of the play&apos;s exile. At one point, the Man, in a humorous tone, explains that he needs the photograph on his desk in order to remember who he is writing letters to. The Man is overwhelmed by this simulacrum before whom he divulges his own metamorphosis. In exile, he finds himself grappling with dilemmas about himself, his actions and inaction, as well as his obligations towards his comerades and loved ones who are still in his homeland. As a result of his self-scrutinizes he has begun to question his former image to the extent that, paradoxically, he remembers the homeland in realizing that he is forgetting it. The sad world of being in exile does not leave me for a second. I don&apos;t know why I came here or why I have stayed. Have I come to pace the streets from morning till night, or to stay at home and suffer constantly with the thought of being away from my homeland? Have I come to write slogans on the walls or to scream about what is going on in my homeland? And to tire out the world with my screams. Have I come to write that history? The history of blood, of crime and violence. Many before me have said these things. Have I come to say that this is like the fulfillment of a curse, that a man, with all his longings, should be bashed about. My heart is swollen with torment. If only these thoughts would leave me alone. Days, every day, I would sit at the window and watch a heavy fog settle on the pine trees. I have gazed so much at these thick veils of fog that, like the moments that passed me by, I have sunk into the vastness of the fog. I have dissolved, I have ceased to exist; I am nothing. These kinds of questions define a stance that is neither here nor there, neither at home nor in exile, but the result of the incoherent coming together of the two in the life of a man who is looking at himself. The exile sees his recollections of his life in the homeland are fading into oblivion. He mourns the dying away of this past by trying to remember it. He is, thus, in a slip-zone between here of exile and there of the homeland. In Akharin Namih, exilic discourse brings to the foreground dis-location and spatiality, not for nostalgic reasons, but in order to not forget. When I came here I realized that I was empty, as if I had destroyed something back there. My distance from all that increased every passing day. I mean the reality of life over there. Or maybe that&apos;s how I imagined it. I was scared that even my memories would abandon me. That&apos;s why I was continuously writing, and I keep on writing. Even writing letters to you was for me a way of connecting myself to what I had left behind. Many of them I didn&apos;t even mail to you. Because I didn&apos;t want to lose them. In this context, exile regenerates itself on the grounds of not only territorial transformation, but also individual transcendence that signify origin, the homeland, as a sign in crisis. The author, Khaksar, further develops this theme in the protagonist&apos;s ambivalence towards the past and his simultaneous preoccupation with the horror of forgetting this past. Here, exile is depicted as the enormity of a personal loss. The play&apos;s protagonist experiences his own gradual sinking, not so much into the host-culture, but into oblivion. The stage design serves as the outward expression of this mood. The Man&apos;s moderately large room is furnished with a bed and a mirror on the left and a small table on the right. The bed and the mirror, together, depict the dreamy aspect of the play; they shed light on the Man&apos;s broodings on a fragmented self-image that appears in the mirror of his mind. The individual and his personal dilemmas that were formerly, within the context of Iranian opposition politics, considered trivial and subordinate to the revolutionary cause, are now brought to the foreground as the play&apos;s locus of action. Every morning you wake up with the hope of action. You know something has to be done–but what? The historic situation you find yourself in does not help very much. You turn and you look to the past. We had brought together everything we could get our hands on to build a house, with our naive understanding of justice. And the foundation, with the mortar and stone of feeling, was set upon a sandy shore; that&apos;s why it kept going askew. We hammered it this way, then that, so it wouldn&apos;t rise crooked in the air, but it seemed to continue–now what could we do. And with this myth-free life we have built for ourselves we say, let&apos;s go again and build. We go. With that handicapped and dubious existence. But it seems simultaneously as if we haven&apos;t gone and as if we have gone. And we blame exile for this historic debacle. Now the number of bugbears has increased. Now we perceive that this dislocation, this state of being abroad, turns what was meant to be a continuation of the struggle into a nightmare which overwhelms the soul. And gradually we come to understand that it seems as if silence is more of an articulation of ourselves. M: Who said we&apos;ve come here just to prove these things? W: That&apos;s what I wanted to hear from you. If you haven&apos;t come here to prove these things, why have you come? Tell me. W: Don&apos;t get me involved. I don&apos;t know anything at all. Why are you concerned with my opinion? I want you to talk. M: I said you know. What is resolved by saying it again? W: A lot of things. I want to hear it from your lips. Suppose I&apos;m an ordinary person who has come here to see what you intellectuals in exile are doing. I sit here quiet so you can tell me about the situation in your homeland. Yes, I am enthusiastically awaiting your words. W: Well! Why are you silent? Say something. Speak up. Do you mean you can&apos;t convey your words even to the person closest to you? M: What do you want to hear? According to the Man, silence is among the voices that create the prosody of exile: “And gradually we come to understand that it seems as if silence is more of an articulation of ourselves.” It conveys the ambivalence that has brought the protagonist in-action. In Akharin Namih, the words “silence” and “pause” orthographically characterize the inarticulate in the written text. These halts pose a demand on the reader/audience to pause and reflect on what has been said as well as on the action that may follow. Through the rhetorical projection of silence and pause, the play invites the reader and the audience into the domain of the exile. The altercations between silence and utterance introduce the dramatic parole of the play as a field laden with multiple levels of interpretation. These utterances function as ideologemes: they intersect with the exilic narrative as a dramatic text, become assimilated into it, or are signified by it. A similar device is at work in Khaksar&apos;s other work, Baghal-i Kharzavil (The Grocer of Kharzavil), a collection of essays and short stories written in exile. There, Khaksar distinguishes among the voices that are produced in the here-and-now of exile. There is a voice that contests the urgency for having left Iran, while another calls forth the plight of the ones who have stayed behind. These voices, I here propose, are not differentiated; they operate on the basis of the logic of equivalence. Similar to the Man in Akharin Namih, one of the voices in Baghal-i Kharzavil, remains silent before responding in an ironic, quiet, tone: “We came here to be the voice of our country, the voice of those who remained enchained behind; to declare the suffering of the people of our country to the world.” These appositional voices–silence as an ambivalent and disillusioned reply to a voice that is the critical reminder of staying committed to social change in the homeland–signify the crisis of meaning the intellectual exile contends with. In Akharin Namih, the breakdown of meaning is depicted as the crisis of a sign that was conveniently associated with a signified branded as revolutionary, committed, and oppositional. In this context, the exile finds himself in a liminal zone whose ambivalence and instability incorporate both exile and homeland or the “origin” which he knows he has simulated. In this manner, concepts such as nationalism and ideological chauvinism–which in many cases might have initiated the necessity of exile–paradoxically, have turned into participants/personae in a fragmented discourse whose dynamics pose an assault on their claims to certainty. Thus, exilic liminality and ambivalence constitute an intertextual field whose dynamics overwhelm the confines of definitive meanings. M: (Reads in a loud voice.) And it is at this point, in spite of our wishes, that we come to have faith in the anti-hero within. The main ground for this anti-hero, if you wish to choose a philosophical term for it, is nihilism–confronting the necessity of destruction, destroying yourself and the world, death. Annihilation. Annihilating both the self and that which one faces. In this limbo of reflection, one seems to wield a pick and shovel to destroy everything built up, along with oneself. Neither God nor human. Amid this destruction there seem to be constructions as well. Sometimes a piece of stone flies from the pickaxe and rests on top of another piece. Something emerges. It has shape, volume, and height. But it is not a home. And this means that everything in the world, everything appears in the shape of a ridiculous mask. Then we begin to exhibit it in the name of life. The first thing the anti-hero doubts is his being in exile. He creates a mocking face of it, so he can deepen this negative opinion of himself as much as possible. From the beginning we were taught to base our belief in human existence on their attitude toward toil and suffering. The greatness, the significance of one&apos;s focussing upon these, depends on the trials and tribulations they endure. Consequently when such a man rises in exile to deny his own pain and works more than anyone else, he becomes the first to put his finger on the unworthiness of life and of his own being. Now this insignificant man, not believing in himself, is able neither to know himself and his own problem, nor to initiate anything for others. The closed circle of his life is a circle in which nothing can take shape. The exile admits the collapse of meaning in his current existential dilemma. According to this letter, neither the present nor the past could console him. The Man, generalizing his own lot by using the first person plural subject pronoun “we” extends his situation to all the exiles. He explains that exile, which was meant to be the continuation of struggle away from home, turns out to be the juncture where “we” have come to meet the anti-hero within ourselves. Gradually, “we” realize, it is silence which has been the articulation of our being. He further explains that among the first things the exile doubts is himself; he doubts his deranged memories and aspirations. The exile in his/her hybrid existence comes to view his/her own image as a signifier of nothing; the most coherent sound in his life is that of silence. He has arrived at this stance by means of a solitary freedom that is found in the liminal space between his memories and his life as he lives it in exile. In exile, the protagonist is set free into a frustration that takes him to unfamiliar nihilistic grounds; this ambiance is created in the play&apos;s hyperreality as a memory play. An expression of this freedom is seen in how different sounds and voices are juxtaposed in the play to convey aspects of the exile&apos;s reality. The sound of silence, the sound of a train passing by at certain intervals, the voice of the Woman, and the voice of the Man reading his undelivered letters permeate his mind and echo the array of memories and preoccupations in his disoriented life. The Man ponders these sounds in order to have a more intimate grasp of his estranged self. Thus, Akharin Namih portrays the exile as a Man who is engaged with his new fate and its bleak freedom. The Man is no longer content with defining himself in terms of those past ideological narratives whose claims on universal categories of truth had left his present uncertainties unheeded. Thus, he is taking a courageous step in facing himself and his new reality; but in taking this step he lets die in him a hero who was meant to advocate change in his homeland. The Man&apos;s drama/trauma unfolds in his memory. Memory, as both remembering and forgetting his homeland and his past, operates as a chronotope that organizes the narrative events. Memory, whose figurative presentation is made palpable through the split cast of Man/Woman protagonists, is the voice of the exile at the same time as it is an exiled voice coming from the homeland. The male protagonist stands for the fugitive, the cast aside; yet the exilic narrative is not limited to his parole: it is a discourse between different representations of his liminal existence. The Woman is the other participant in this dialogue. She is equally exiled from a revolution that has betrayed her. She is an outcast in her own country where she is treated worse than an alien; she has been put into prison, violated, and raped. Moreover, she has seen how other members of their revolutionary group, driven by fear and anger, had turned against one of the members who was suspected of being a police informer; they had tried and executed this man. In spite of this, the Woman asserts her preference for staying behind in Iran by leaving the Man at the end of the play. W: By the way, do you have that folksong the three of us used to sing together? W: You know the one. (She gets up and goes toward the bookshelves and looks at the cassettes.) It was the summer before the war. The three of us were up in the north. This was the song we sang in the forest. W: A year before his arrest he was working in a factory. He was so good at it that even the informers inside the factory could not spot him. (Pause.) Why can&apos;t I find it? It&apos;s not among these! (Facing M.) Have you really forgotten? M: I might have it. W: I say something, and you answer something else! M: You said you couldn&apos;t find it. So I am saying I might have it. W: It wasn&apos;t among these. M: It may have wound up in a corner somewhere. W: Yeah, it may be back there somewhere. Or so far away that, as something lost, you won&apos;t ever find it! W: About something you said may have wound up in a corner (Pause.) I don&apos;t know. Maybe you&apos;re right and I&apos;m looking in vain for something that should have been forgotten by now. The Man is unable to produce any viable evidence to satisfy the Woman&apos;s intrusive curiosity. Instead, from among the scattered papers on the floor, he picks up a letter which he first reads silently to himself and then to the Woman. As discussed earlier, this letter is his personal manifesto on exile and a critique of history in respect to his present exilic stance, but it is not the answer she is looking for. The Woman wonders about the exile&apos;s inability to take any political action and blames him of betraying his time and his freedom–an occasion for crying out the cause of the oppressed in his country of birth. Proud that he has finally received an invitation from one of his neighbors, the Man attends the birthday party. Yet, once again, he must discuss his address and identity to prove he is in fact the invitee. To his dismay, the man realizes that he is attending the birthday party in place of a dead person, someone who used to live at his current address. This occasion confirms his recent conclusion that his exilic life is a limbo between living and dying, that he is more dead than alive: a realization that makes him feel ridiculous. The grotesque nature of his situation is expressed in his initial appearance on the scene as he returns home from the party: “In his hair and on his clothing there hang party streamers and ribbons.” Decorated with the remnants of a party that has tolerated him in place of a dead man, the Man returns home to resume his delirious existence. As discussed earlier, the Man&apos;s anxieties about the dying away of his identity and his past memories into oblivion are exercised in writing. In inscribing himself and his memories, in the very act of writing, the Man regenerates a simulated hyperreality that creates the play&apos;s present. The real is produced from miniaturized units, from matrices, memory banks and command models–and with these it can be reproduced an indefinite number of times. It no longer has to be rational, since it is no longer measured against some ideal or negative instance. It is nothing more than operational. In fact, since it is no longer enveloped by an imaginary, it is no longer real at all. It is a hyperreal, the product of an irradiating synthesis of combinatory models in a hyperspace without atmosphere. The Man&apos;s past, his identity, and his commitments are blasted away by the force of his current dilemmas. The homeland is not conceived as a concrete concept; it also has become a fabricated narrative. In tracing his fleeting thoughts, the Man writes himself as an exiled text whose transformations supersede territorial dislocation. He articulates a marginal narrative produced on the grounds of a cosmopolitan perspective that perceives “reality” to be a processed artifact that can be made and unmade. The spatial logic of his simulated present stance, manifests a momentous effect on his former perceptions of time as progress: the conception of the past as referent is challenged by the unbounded text of the exilic memory. His acquired consciousness has produced a perception of time that is scattered in the structural design of the text as a memory play. History, ideology, and the truth are accordingly transformed into strange personae that jolt him in and out of his oblivion. As has been discussed, Akharin Namih accosts the question of “origin” not in terms of a nostalgic longing for the homeland, but the anxiety of forgetting it. Throughout the play, the Man remains in his exilic presence as phantoms from his evasive past appear to him. The play&apos;s exilic discourse brings the question of spatiality to the foreground. The Man lives in an intertextual periphery: a political exile who is an alien in the host-culture, he has constructed an imagination that incorporates the Woman. The Man needs to remain bonded with the Woman in order to have a better understanding of his estranged self. The Woman, however, is ostracized from the Man&apos;s exilic experience: she is not prepared to understand his amnesia. The unresolved nature of their dialogue articulates different aspects of a mutual marginality: dissociation with the host-culture as well as the homeland. In Akharin Namih, exilic memory manifests a liminal zone that contains “here” and “there”: while enhancing both zones, this memory belongs to”nowhere.” It is in this spatial zone of ambivalence that the exile comes to doubt himself and his former convictions. His memories, thus, do not convey a nostalgic longing for the past; they are the trace of that which is no longer convincing in the present. Here, memory is the ground of social and individual critique. The play&apos;s protagonist is emancipated by a solitude that, in his case, has illuminated the fallacy of grand narratives such as ideology and the promise of an imaginary future–dreams that for him have turned out to be castles on the sand. The exile&apos;s life in the homeland, his political identity and commitments, as well as his loved ones are gradually dying away. Pondering the collapse of meaning in his life, the exile is too inert to challenge the status quo or to revolutionize the world; he is now challenging himself. Writing the letters is his way of mourning the loss of his past and coming to terms with the confusing reality of exile. Writing in exile, however, as everything else, remains incomplete. In Akharin Namih the hyperreal text of exilic memory does not come to any closure. At the end of the play, the Woman returns to the homeland and the Man remains in exile. Yet, they are bound to meet again since in the life of the exile the “real” is neither a domain outside or opposed to its simulacrum, nor a concept that can be falsely represented as ideology or commitment. Firoozeh Papan-Matin received her Ph.D. in Near Eastern Languages and Cultures from University of California, Los Angeles (UCLA). She teaches Iranian studies at University of California Santa Barbara (UCSB). Her recent publication Ahmad Shamlu: a New Perspective will be released in Spring 2004. This study was first published in JUSUR: The UCLA Journal of Middle Eastern Studies, vol. 17, 2003. Nassim Khaksar was born in 1944 in Abadan, an oil port-town in the south of Iran. Labor unions had a strong presence in Abadan and a formative influence on Khaksar&apos;s political sensibilities. As a young man, he became a sympathizer of the left and one of the editors of the periodical Honar va Adabiyyat-i Junob (The Art and Literature of the South). During this period he had begun working as a teacher. In 1967, the journal was planning to release an issue on Palestine. In the same year, Khaksar participated in a teachers&apos; strike and was arrested as one of the strike-organizers and a closet revolutionary. He was released from prison in 1969. In 1973, Khaksar was arrested again on the charges of collaborating with the underground Marxist-Leninist organization, Saziman-i Cherikha-yi Fadai-yi Khalq-i Iran (The Organization of the People&apos;s Devotee Guerrillas of Iran). During the 1979 revolution when Prime Minister Bakhtiar was in office, Khaksar, along with other political prisoners, received amnesty and was released from prison. In 1980, when Islamic Republic was establishing its legitimacy as a state, Khaksar was arrested and imprisoned. He was accused of giving arms to someone who was to assassinate the Revolutionary Guards. The alleged assassin was executed and Khaksar was released two months after his arrest due to overwhelming pressure put on the regime by the public. In the summer of 1983, Khaksar fled Iran and crossed the border into Turkey, on foot. Soon after, he went to Holland on a fake passport. He has been living in Holland as a political refugee since 1983. Khaksar&apos;s literary record is rich and diverse. In Iran he had published a short novel, four collections of short stories and five children books. In 1980, one of his children books, If People Would Love Each Other, won the international award for the best children storybook. The award was issued by IBBY (International Board on Books for Young People). In exile he has issued fifteen books, five of which have been translated into Dutch. His plays, The Exiles, Sardine Fish, and Under a Cheap Roof, were staged in different towns in Holland for several months.